Climbing Tips for Beginners South Carolina Wildlife magazine receives some climbing tips from university professor and global expedition leader, Tom Mullikin. Follow along with Mullikin as he treks the globe to become the first human to climb Earth’s seven great mountain-summits and SCUBA-dive in all five oceans. More at scwildlife.com. 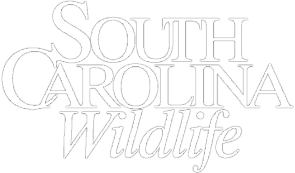 South Carolina Wildlife Magazine Celebrates 65 Years Join past South Carolina Wildlife photographers as they reunite to celebrate the 65th Anniversary of SCDNR's flagship magazine. 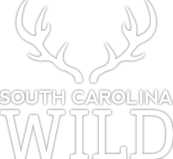 Learn about what it was like to capture the spectacular images of our great state throughout the years, then subscribe today at scwildlife.com so you don't miss a single issue. How to Fit a Shotgun South Carolina Wildlife met with Heyward Horton to find out how to properly fit a shotgun. Basic SCUBA Diving: Equipment South Carolina Wildlife recently joined a father and son world exploration team from Camden to learn the basics of SCUBA diving. In this special South Carolina Wildlife Video Spotlight, Tom Mullikin and Thomas Mullikin Jr. introduce us to SCUBA diving equipment and encourage us to explore natural treasures found right here in South Carolina. Congaree National Park Volunteer South Carolina Wildlife magazine tagged along on a hike with Congaree National Park Volunteer Keith Coffer and Jax, his canine companion. Why Brandon Cobb loves fishing in South Carolina South Carolina Wildlife Magazine caught up with Pro Angler Brandon Cobb and his buddy Andy Wicker while fishing on Lake Murray. Find out why Brandon Cobb loves fishing in South Carolina. Tom Yawkey Wildlife Center with Tiny Collington South Carolina Wildlife took a stroll back in time at the Tom Yawkey Wildlife Center with Tiny Collington, who grew up in this natural paradise. Collington shares the pictures and stories of the families who lived here. South Carolina Archery in the Schools SCDNR's Archery Coordinator Charlotte McKee talks about the Archery in the Schools Program and demonstrates the 11 steps of Archery Success. Nature Photography Tips with Kristy Massey South Carolina Wildlife magazine talked with Photographer Kristy Massey about how a photography career just seemed to click for her. Watch for a few tips and tricks when snapping away in the great outdoors. Interview with FLW Pro Angler Brandon Cobb Ever thought about fishing in the big leagues? Check out this video of FLW pro angler Brandon Cobb for some insight. Rowing in Columbia South Carolina Wildlife magazine joins the Columbia Rowing Club for a sunrise practice on the scenic Broad River. Learn more about rowing in this video with CRC coach Laura Kline. Jumping-off Rock South Carolina Department of Natural Resources Public Information Director Greg Lucas talks about the discovery of peregrine falcons near Jumping-off Rock in the upstate of South Carolina. Produced by SCDNR Videographer Danielle Kent. Turkey calls from ages past John Tanner of Hemingway crafts custom turkey calls using unique tricks of the trade to produce better sounds. Taking this art to a new level, he has made box calls from ancient cypress that dates back to the Ice Age. Life's Better Outdoors! Spring gives the signal to all its players who've been out in the field practicing and fine-tuning their game all year long. It's time to head outdoors for the first catch of the season! ¿Qué es SCDNR? In this short video, SCDNR Diversity Outreach Coordinator Alix Pedraza describes basic SCDNR programs in Spanish. Flying high with a South Carolina DNR pilot Ever dreamed of being a pilot? How about a pilot for South Carolina's Department of Natural Resources? South Carolina Wildlife magazine staff flies high with SCDNR Pilot, Owen Barker, to learn more about this exciting career. Gills Creek flooding aftermath Gills Creek near Columbia was hard hit by flooding in October of 2015. Watch this SCW Shorts video to learn about the cleanup necessary to restore the watershed. SCDNR flyover during South Carolina's historic flood of 2015 SCDNR and a member of FEMA flew over South Carolina on October 7th, 2015 to assess the widespread rain damage. This video clip was taken in Georgetown County near the Black River. SC Aquarium Sea Turtle Release The South Carolina Aquarium's Sea Turtle Hospital released five loggerhead sea turtles back in to the surf on the Isle of Palms on Tuesday, May 10. Hundreds of onlookers gathered on the beach to watch as South Carolina Aquarium staff and volunteers along with SCDNR staff helped the turtles return to their natural habitat. Sea turtles are often discovered sick or injured from accidental boat propeller strikes, entanglement in fishing nets or even the ingestion of litter such as plastic bags carelessly tossed into the water. For more information about endangered sea turtles, visit the DNR's website at www.dnr.sc.gov/seaturtle/. For more information about the Sea Turtle Hospital, visit the South Carolina Aquarium’s website at www.scaquarium.org. Standup Paddle Boarding on Lake Murray Although some standup paddle boarders are making a big splash along the coast and on inland waterways; this short lesson, filmed at Lake Murray, could help beginners stay dry.